 On the Sidewalk - Equipping You to share the gospel and save unborn lives. Gather your homemade/bought signs and literature in something that can be transported easily. Go over important fetal development dates so that they are fresh in your head in case you have the opportunity to counsel a mother. Visit: HERE and go over their material. Pray for the mother’s hearts, the father’s hearts and even the clinic workers’ hearts to be softened! Gather literature, water bottles, sunscreen and treats for the children. If you are a sidewalk counselor, do not wear t-shirts with messages, but instead have a “put together” appearance…no sunglasses, so you can make eye contact. SMILE! Pray with all who are going with you! Pray for softened hearts, open ears and eyes and for a changed heart of the abortionist. Continue the attitude of prayer throughout the day! Make sure to “debrief” with the family that afternoon or evening, so that everyone can “digest” what happened that day. Be familiar with the content of the literature. Be familiar with local area resources. Have your cell phone programmed with quick reference numbers and bookmark applicable websites. If you have a smartphone, install Google Translate in case you are counseling someone who speaks a language you do not know. Just a week late? Your baby’s heart is beating! Judging is SCRIPTURAL and commanded by God. Condemnation is wrong. Go HERE for Scriptures on Judging. When did your baby become human? Any point beyond conception is arbitrary. When did God begin to love your baby? When did God begin to love you? Before or after you where born? Pray for God to show them abortion is murder. Pray for them to turn away from this act. Pray for God to provide for them. Pray the Gospel and that God would open their eyes to see the truth and desperate need for Christ the Savior! Wave and make eye contact as soon as possible. A maximum of two counselors approach the vehicle. Ask the person’s name and use it! Did you know if you’ve missed a period your baby’s heart is beating? What would He have you do? Never refer to adoption as “taking” a baby. Mention that there are over two million couples in the US waiting to adopt. Emphasize their ability to BLESS a family with their child. Use correct references to biological mother and father. Give them the brochure from Heritage House “Ten Reasons I don’t Want To Place My Baby For Adoption”. Ask them when people come out to minister. Ask if there are any women or families who come to minister. Ask everything about the abortion center and record what you find out…the doctor’s name; his (or the clinic’s) malpractice suits, if any; the hours for abortions; the busiest times/days; to what gestational age do they do abortions; if there are many Spanish speaking clients (if so, is there an interpreter that can be reached by phone that would counsel a woman, if you don’t speak Spanish); find out what kind of confrontation has been seen between the employees and the “pro-life missionaries”; find out if ambulances have been seen leaving the clinic and how often; find out the “horror stories” of botched abortions, etc., as this can be a great deterrent for women going in (they need to know the REAL risks of abortion); ask for ANY additional info they think is valuable information about the abortion center and the doctor/staff, etc.!! Ask what the laws are on boundaries/trespassing; what’s legal for approaching patients and cars; if you are lawfully able to obtain a sound permit for a handheld speaker system and how to go about doing that (You can pick up a portable sound system for $60-$100…it is PRICELESS…doesn’t sound like you’re yelling at them, but talking calmly); what is allowed for signage (can you hold poster boards, do they require or prohibit “sticks” on the backs of the posters…different cities have different rules). Ask them what resources are available for women (free medical care, baby showers, church mentors, people who want to help provide the women with things they need). You NEED to have resources like this, or your words are viewed as empty. Google or go here to find local pregnancy centers and shelters. Visit Optionline.org and keep it handy, if you have a smartphone, so that you can locate crisis pregnancy centers near where the woman you are counseling lives. Pray while there and scope it all out to plan your focus and your ministry. Ask God to show you how could you most effectively (and legally) reach these women with the truth before they enter. The first week scope things out and pray about how to approach the women. Consider going with material and literature, just in case God spurs you to speak out to women. After going to the abortion center, go home and buy literature from Tiny Hands Book, Heritage House, and Human Life Alliance. Remember to include a Gospel tract, as many women have accepted Christ this way and have done so AFTER aborting their child! Research the laws on trespassing and call others who might know the laws surrounding “protests” at abortion clinics. It is not only important to know what you should NOT do but to know what you’re ALLOWED to do. Many in authority try to scare you into thinking you might be breaking the law. If you know that you are not and keep that proof on hand (in a folder or resource book in your vehicle), you can operate your sidewalk ministry in confidence! After researching and finding the laws, consider obtaining a sound permit (if required) and purchasing a handheld speaker system (otherwise, if you can’t be right next to the woman, you’re forced to “yell” the facts and it doesn’t sound as nice and gentle as a speaker). Many at local abortion centers say that they could hear us in the building and that what we said made them come out and choose Life! So, this is a valuable tool, if you are permitted to use one outside of your local abortion center. Make a handout of local doctors who would deliver for free. List pregnancy centers, free and practical resources, adoption agencies, etc. Consider putting your cell number and FIRST name and maybe a generic e-mail address on the literature so that they can contact you. Go online and research “methods” for sidewalk counseling. Google “sidewalk counseling” and there are MANY ideas! You’ll soon figure out what works best in your situation. Consider starting your own “side” ministry (as if this isn’t enough) of finding used baby items for moms in need at yard sales. Use Facebook and a blog as fundraising…or have them send the needed items right to you! This ministry is a POPULAR one to offer moms in need!!! They love to see the long term dedication behind the promises and offers you make clear to them. Also, consider having your church and other area churches sponsor baby showers! If you can talk others into going out with you, that is BEST! It is also WONDERFUL to have men, women, and CHILDREN out there. Children remind them of the life they are killing…the employees hate it and the women’s hearts are softened by their presence. Consider the power of social media and set up a Facebook page to post prayer requests, moms‘ needs, praise reports. Great way to gather volunteers and donations.